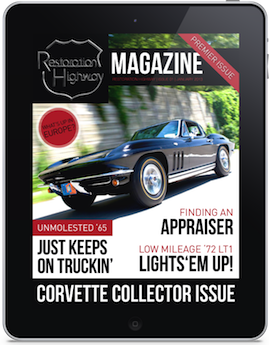 Welcome to the brand new Restoration Highway Magazine with Alan Colvin Blog. While I have done other blog related stuff in the past, this will be a brand new dedicated blog for my new magazine, Restoration Highway. I will be posting hopefully every day or every couple of days with new info about the world of musclecars! The following pages are from my first issue. I included the Table of Contents (TOC) so you can see what you can expect each issue. Make sure you click on the “SUBSCRIBE” button on the last page so you can receive a 7-day free trial of the mag for your enjoyment.